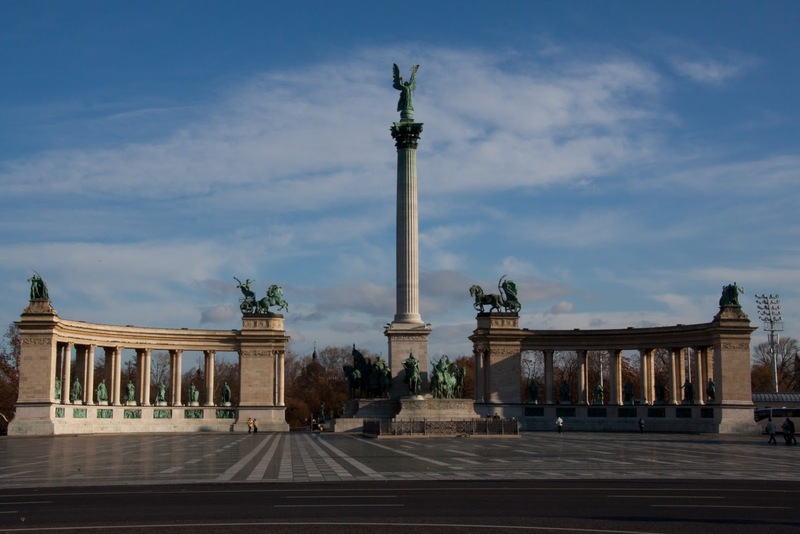 Hósök tere, or Heroes' Square, sits at the entrance to City Park at the top of Andrássy Avenue. 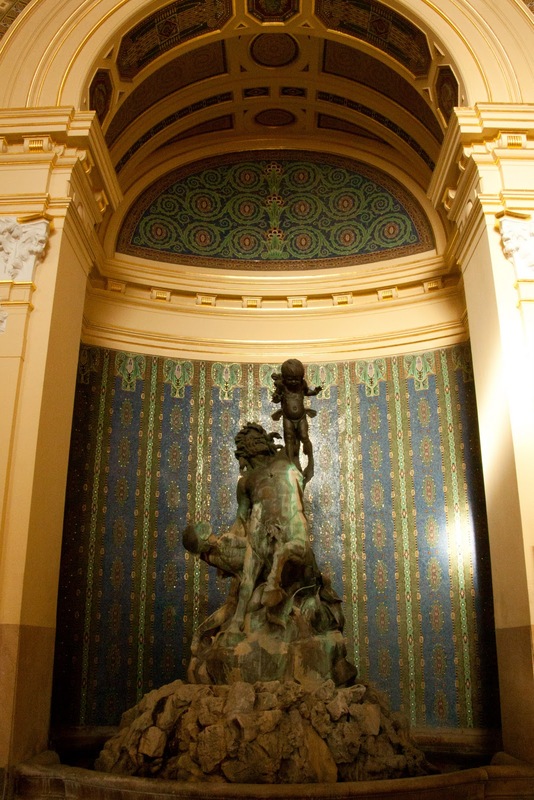 The column is topped by the Archangel Gabriel, holding both the Holy Crown of Stephen I and the double cross. The semi-circle arcades hold historical figures of Hungary's past. 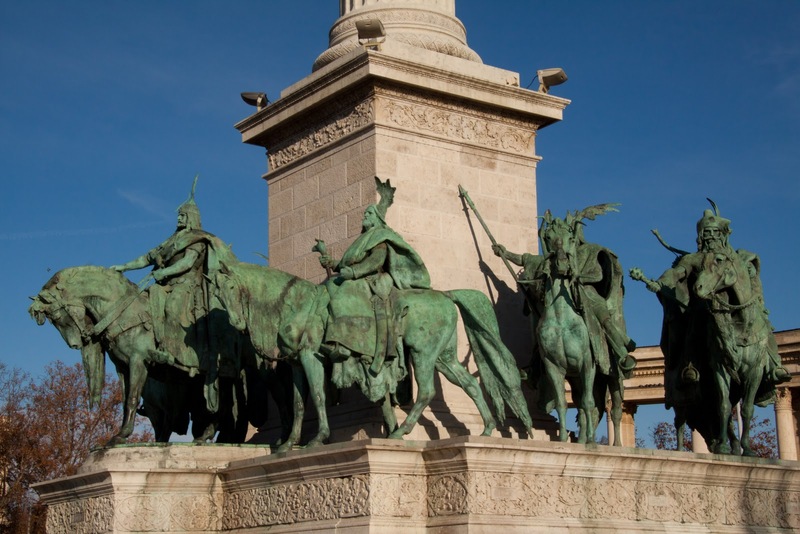 These seven statues represent the Magyar (Hungarian) chieftains who led the Magyar people into the Carpathian basin. Árpád, the founder of the Hungarian people, leads the chieftains. 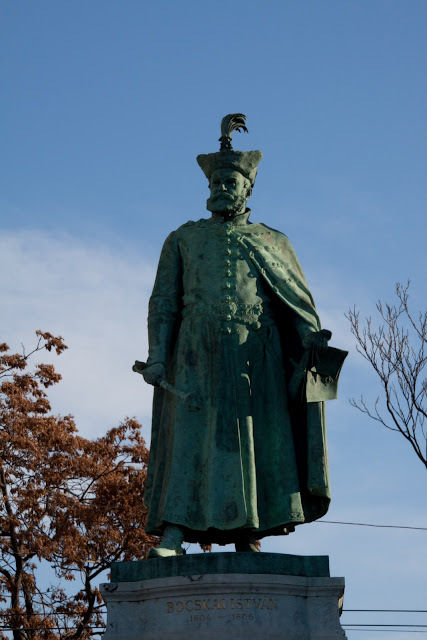 Bocskai István (in Magyar the surname is listed first), a Hungarian nobleman and Transylvanian prince who defended Hungary against the Ottomans. A staunch Roman Catholic, he defended the right to religious freedom in Hungary. 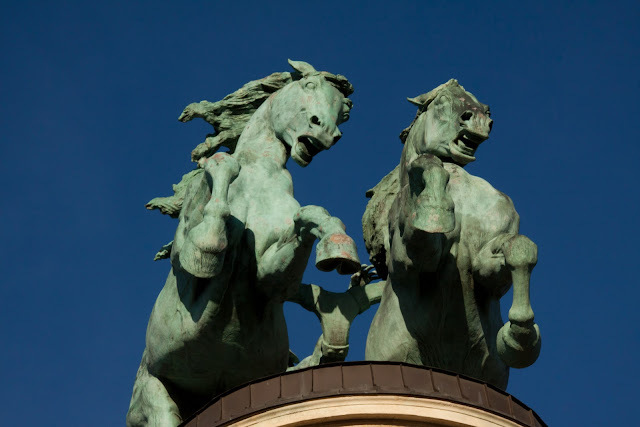 One pair of the chariot horses that stand atop the inner points of the colonnade. 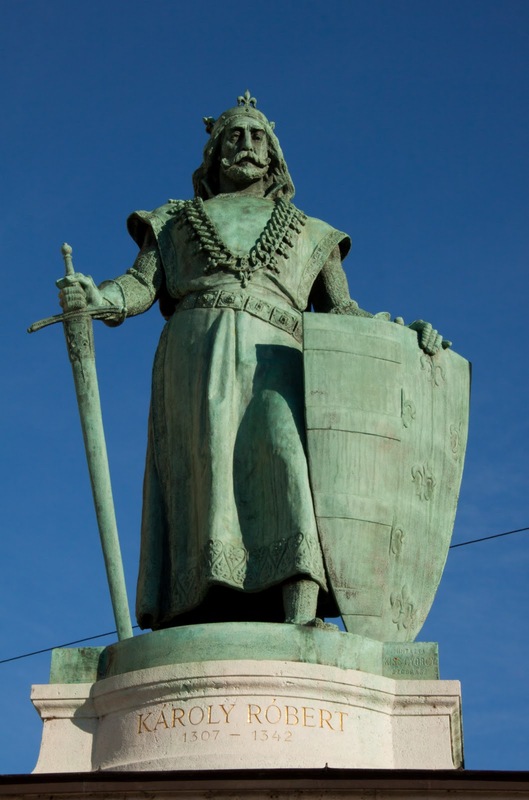 Szent László, or Ladislaus I. 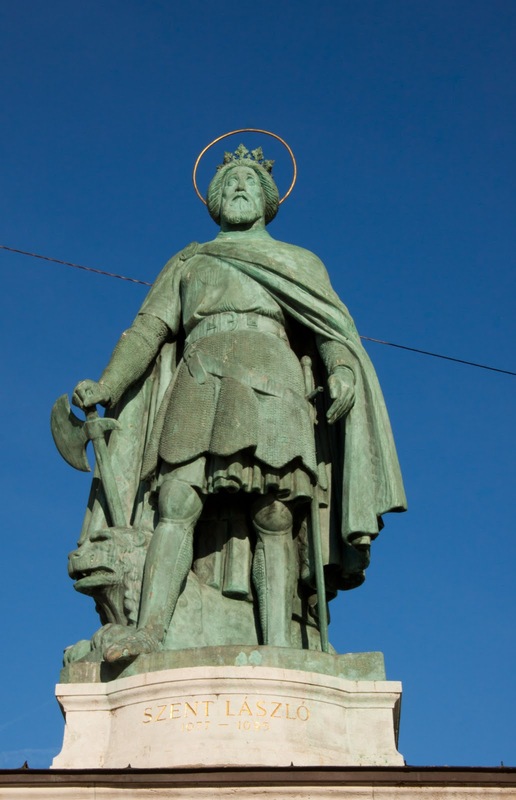 King of Hungary over the last quarter of the 11th century, Ladislaus worked to enlarge the Hungarian kingdom and was beloved by the Magyar people. Könyves Kálmán, or Kolomon I, king of Hungary from 1095-1116. 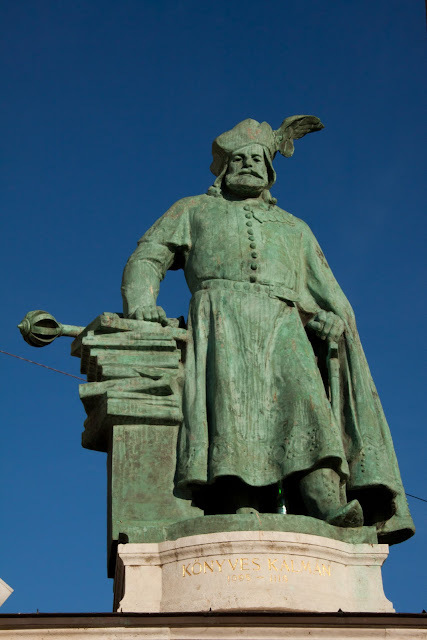 Known as "The book-lover," Kolomon's reign was fraught with contention with his brother, Duke Álmos, who Kolomon eventually ordered to be blinded, along with Álmos' son. II András, king of Hungary from 1205-1235. The second son, he inherited the throne after his elder brother and infant nephew died. Károly Róbert, or Charles I, king of Hungary from 1308-1342. 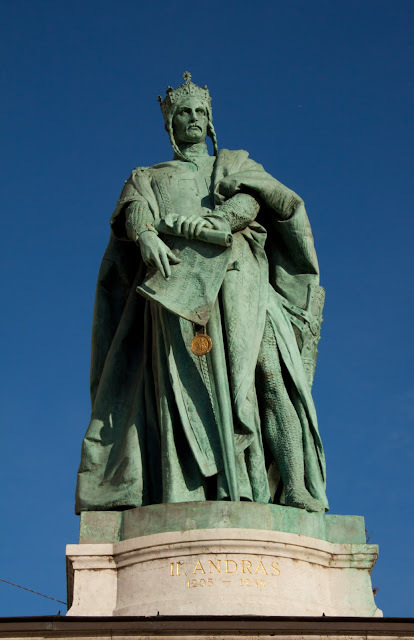 He forged foreign alliances and strengthened internal policies as well as creating the first consistently high-quality gold coin. 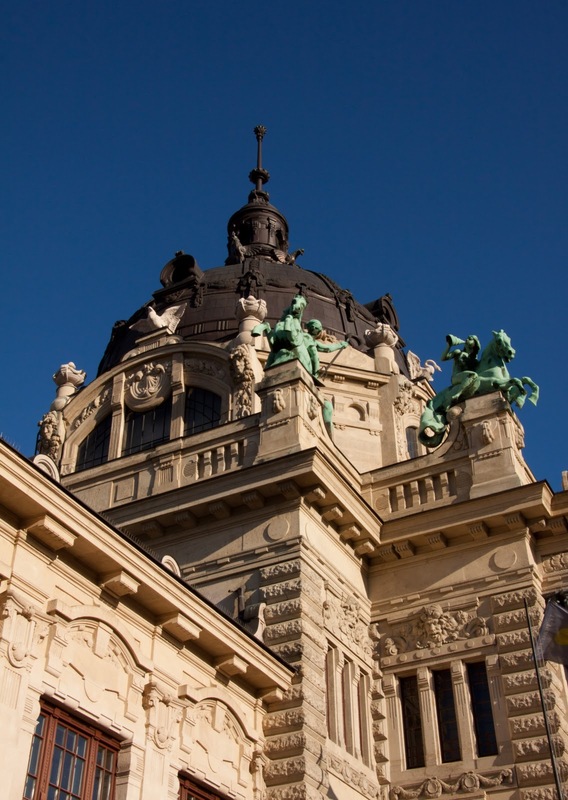 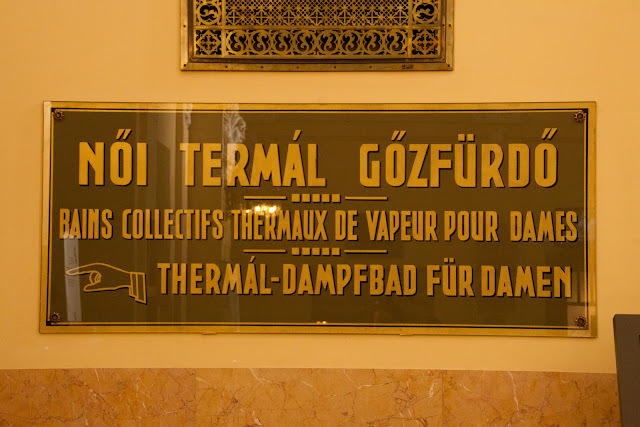 The Széchenyi Bath built in 1913, has eighteen total baths, some segregated by gender, others mixed, some outdoor, most indoor. Due to our short stay in Budapest we opted to not sample any of the thermal baths, so we just walked around the foyer of Széchenyi. 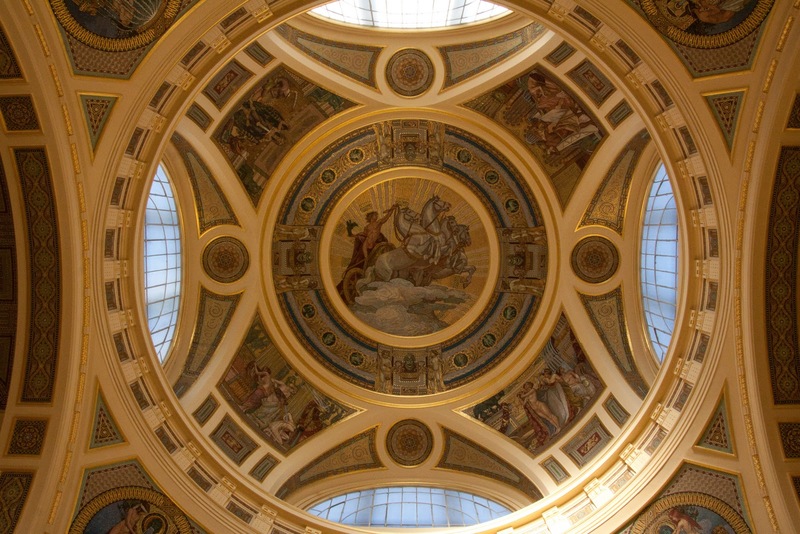 This is the beautiful ceiling. 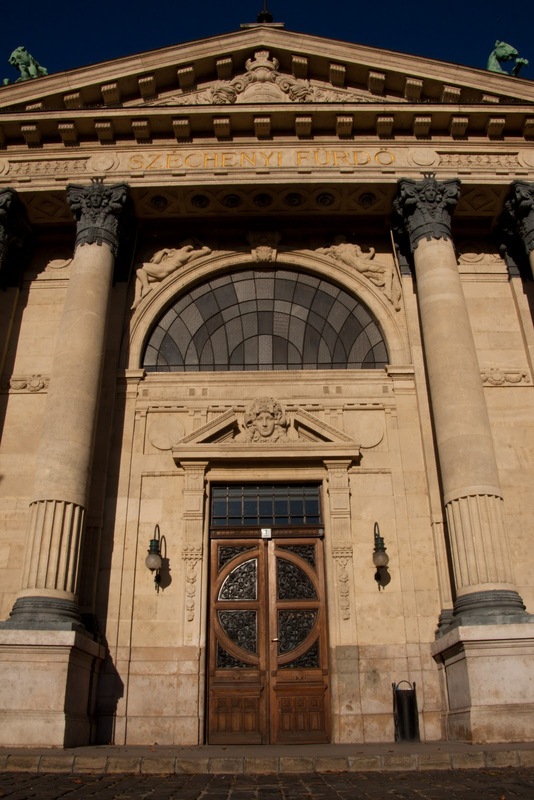 The outer dome of the main entry.